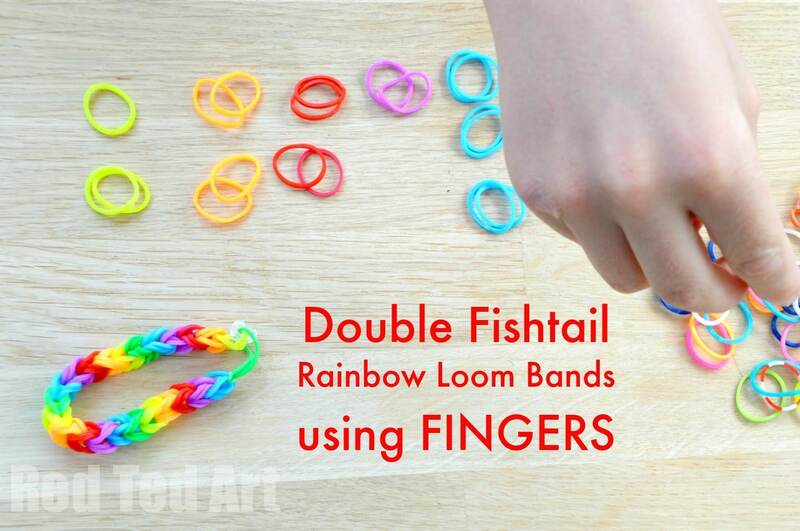 So.. after we shared out Inverted Fishtail video you last week, we finally got around to continue the rainbow loom craze in our house, with this slightly simpler loom band patter – the double fishtail – using your fingers. Finger looming is super popular in our house, as my kids are only 6 and 4yrs old (the video stars Red Ted! aged six.. so do excuse him, for the odd off screen wandering hand – finger loom pattern really is easy, so shouldn’t be a problem). 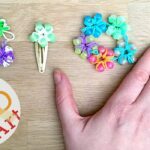 But I digress… we were given our first Rainbow Looms set from Cuthberts Toys a few months ago and though Red Ted could manage the peg board – just – he also found it frustrating. 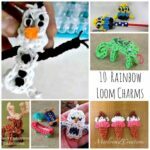 making rainbow loom bracelets with the finger looming technique has changed all that. Suddenly, he is looming away all day and his little 4yrs old sister is followig suit. Perfect. 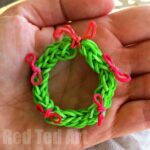 The thing I really like about the loom bands – especially the Finger Loom Band patterns – is how the kids are all teaching each other. 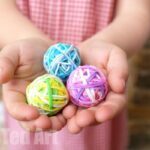 Yes, I like to craft with my kids, but certain things, I feel are “theirs” and kids listen to other kids. So.. here we go to Red Ted, aged 6, teaching us how to make the double fishtail. Wonderful. Doesn’t it look pretty? 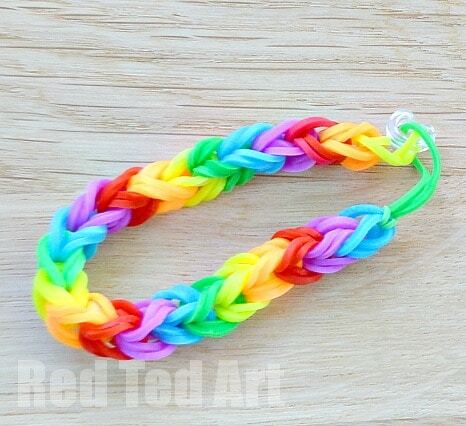 It looks great in random patterns, or why not go for a rainbow rainbow loom bracelet!! Supe easy, isn’t it? 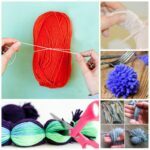 Now do take care when Finger Looming, that you don’t leave the bands on your fingers too long. 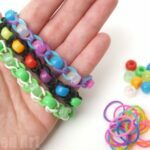 I always tell my kid sto take a break (use to two pens to hold the pattern), if the bands start feeling tight whilst finger looming! 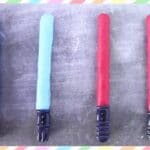 Now, once you have mastered the double fishtail, why not check out our Inverted Fishtail Pattern! 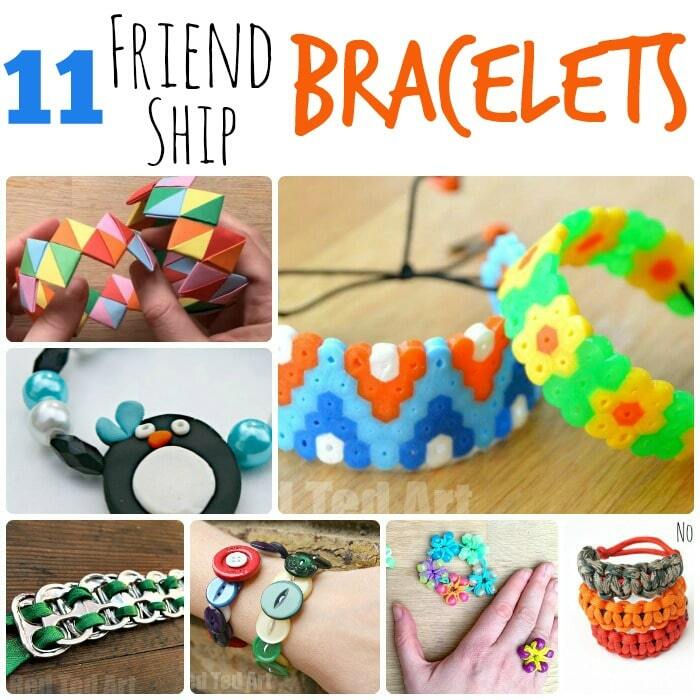 Which is your favourite DIY Bracelet?